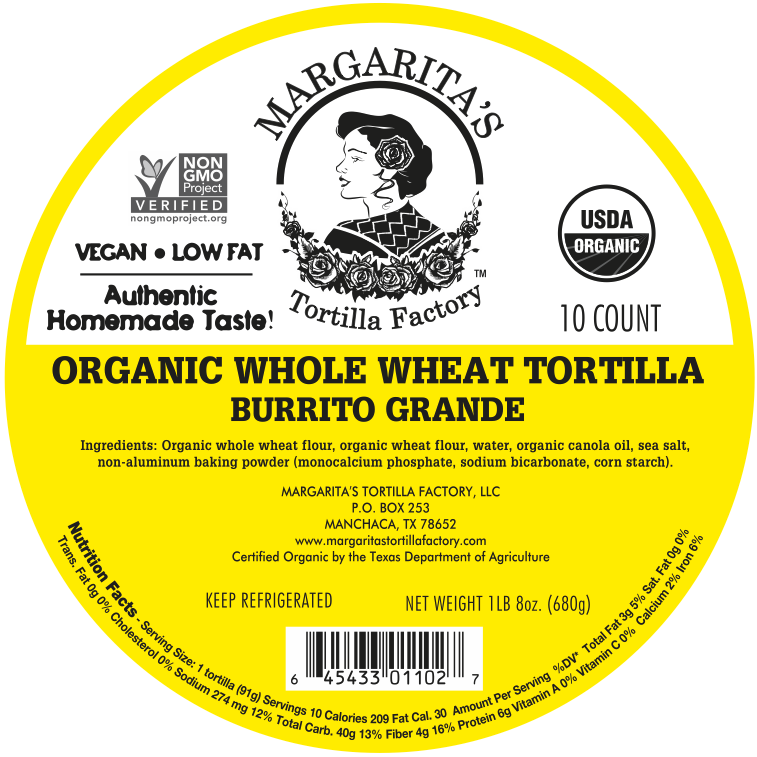 Our Whole Wheat Tortillas are one of our original products and still one of our most popular. And for good reason—they have the nutrition of non-GMO whole grains and the wholesome taste that so many people know and love. 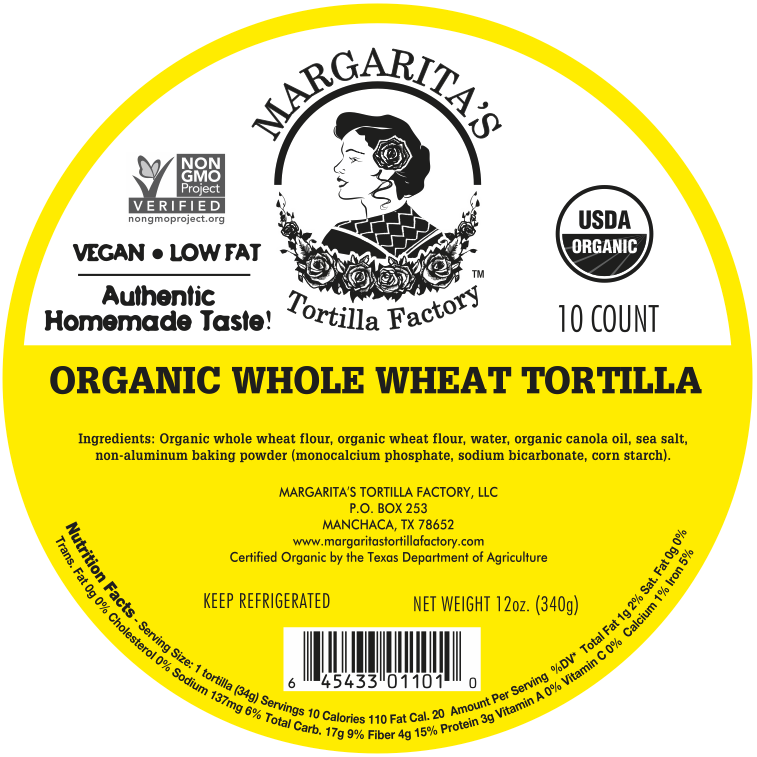 Organic whole wheat flour, organic wheat flour, water, organic canola oil, sea salt, non-aluminum baking powder. 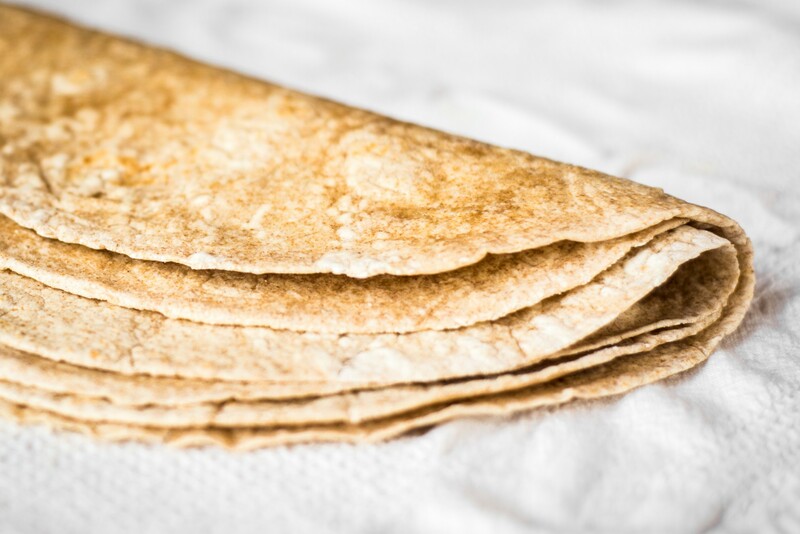 I don’t usually get excited about food items, but I happened to buy a package of your whole wheat tortillas at Whole Foods on Sixth St. this week, and I feel compelled to write and let you know that they are wonderful—tender, flavorful, fresh. They are delicious just absolutely plain, warmed up a few seconds in the microwave.